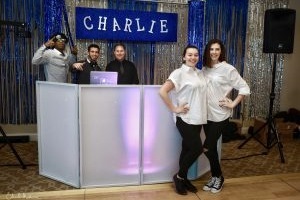 Why trust a wedding DJ for your sweet 16 or mitzvah? With over 25 years of experience we are the local experts on teen music, culture and programming. Trust our family first approach to treat your event the right way. Sweet 16’s and Mitzvahs are both once in a lifetime event so let’s make it one! Your party should reflect your style, it should be about who you are. We’ve got the goods to rock your party and guests all night long. Professional music database – We use the top two premiere music services in the industry. Promo Only and PrimeCuts. We have every new song in every radio format. Radio clean and “Squeeky” Clean edits. No profanity will offend your guests. Dance/Remix edits. That’s right we get all of the remixes from the hottest producers. Video – Let us use our huge indoor screens (if you have the space) or our dual 50” flat screen monitors to display MTV music videos, ambient video and your video montage. Our famous dance cams can make you and your friends the stars of the night as you’ll appear on the video screens. They’ll feel like they are on YouTube. Handouts like glow and flashing products will ensure that everyone is having a good time. Your Bar/Bat Mitzvah is not a regular party and not a regular night. It’s a true celebration of faith, family and friends. Let Summit Soundz Entertainment help you celebrate in style. 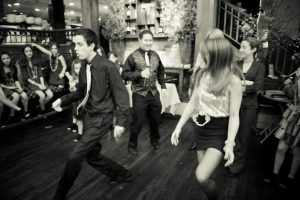 Event Interaction – We have games and dances that both teens and adults will enjoy. Everyone will have a good time. Dancers – You could also call them party motivators. They lead the dances and help keep the party moving. Candle Lighting – This important, sentimental part of the night is special. We can help you pick and edit the right songs for the right moments. Keep the memory of your party alive by adding one of our Red Carpet Photo Booths. Custom 2 x 6 strips and digital images will provide your guests with lasting memories.